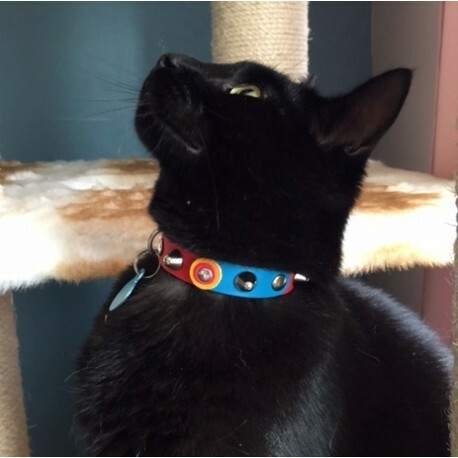 This Unique Sporty Studded FC Barcelona Barça Cat Collar is sturdy and beams energy. Simple in design but it reaches its goal and scores! 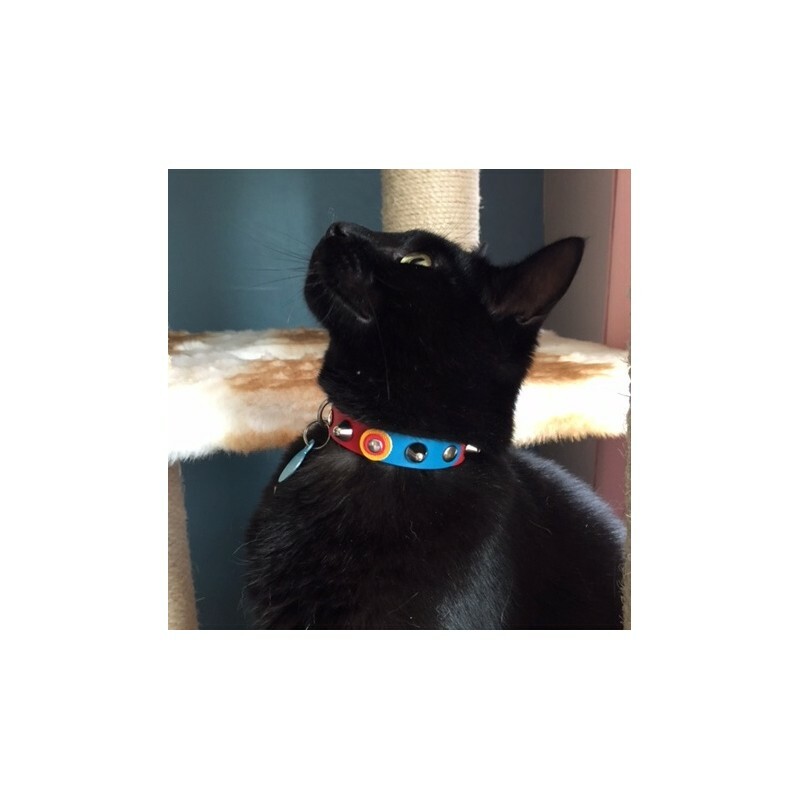 Here shown by cat Tebbie from Holland!